It is very important to study organizational behavior because it provides an understanding of why people behave as they do in organizations. Organizational Behavior helps us to study the complex nature of human beings in organizations by identifying causes and effects of that behavior. 1. Organizational Behavior helps in understanding Organization and Employees in a better way. 2. Organizational Behavior helps in motivating employees. 3. Organizational Behavior helps in improving Industrial / Labor relations. 4. Organizational Behavior helps in predicting and controlling Human Behavior. 5. 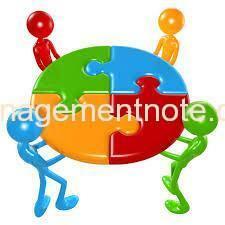 Organizational Behavior helps in effective utilization of Human Resources. Studying Organizational Behaviour helps to understand organization and people in a better way. When we can understand organization and employees, it helps to develop friendly relationship between organization and employees creating a proper working environment in an organization. Studying Organizational Behavior topics helps to find out the factor causing the behavior, and helps to apply different strategies to control the critical behavior which harms the organization. Studying Organizational Behavior helps managers to motivate the employees bringing a good organizational performance. As every individual differs from each other, therefore Organizational Behavior helps managers to apply appropriate motivational tools and techniques in accordance with the nature of individual employees. This helps achieving organizational goal properly. Studying Organizational Behavior helps to improve industrial/labour relations. Organizational Behavior Management helps in understanding the root-cause of the problem, predict its future course of action and control its negative consequences. As, managers are aware about the positive and negative consequences of the behavior, it enables managers to maintain friendly relations with their employees which creates peace and harmony in the organization. Studying Organizational Behavior helps to predict and control human behavior. It is the one of the most important reason for studying Organizational Behavior. Knowledge of Organizational Behavior is very much important for the management students who are going to have a career as a successful manager. If all the Organizational Behavior theories is studied properly then it helps to bring organizational effectiveness. Studying Organizational Behavior helps in effective utilization of Human Resources. Knowledge of Organizational Behavior helps managers to manage people effectively in the organization. It enables managers to inspire and motivate employees toward higher productivity and better results as the manager is able to analyze and understand nature and behavior of his employees. Sincerely may I appreciate this lesson that it has contributed highly in improving our work performance.